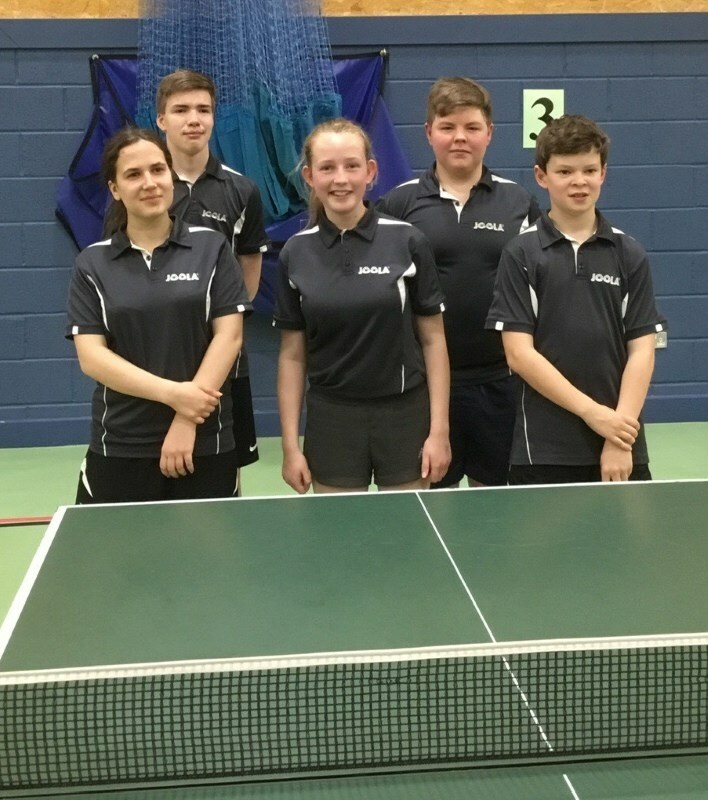 The Gloucestershire Junior Table Tennis team travelled to Westbury in Wiltshire for a weekend competition in division 2 of the county championships. Having finished In a surprise second place in the division last season, we were keen to continue our progress. Our first match was against Somerset and the team got off to a superb start with everybody winning at least one match in our 7-3 victory. The next match was against Avon and we came away with a superb 9-1 win. We came to the third match and opponents were Cornwall, who were favourites to win the division based on the high ranking boys in their squad. Unexpectedly the team came out with a brilliant 6 games to 4 win, buoyed by great performances from Anna Maria Besarabova & Charlotte Sparrow who came away with 2 wins each. We completed day one with a great 9-1 win over Dorset 2 .This left us at the top of the table and with a superb chance of winning the division. Day two started with a crucial match against Gwent, who had a team that contained a Welsh international player at number one and two highly rated girl players. Gloucestershire started strongly with two boys wins including a fine win by Benjamin Greve over Iestyn Howells. Despite great performances by Besarabova and Sparrow, we lost the first two girls matches , so the score was tied at 2 each approaching the second half of the match. Great wins by Marcus Holba and Sam McIvor meant that we were 4-2 up, one more win to clinch the division. A loss by Charlotte reduced our lead, meaning that Besarabova was under pressure to perform against the Gwent number one. She won the first two ends and appeared to be cruising to the vital win, but Beth Brewer fought back, saving several match points In levelling the match. Finally, Besarabova clinched the match on her sixth match point. This meant that we were 5-3 ahead, clinching the title! Marcus Holba won the final boys match to clinch the victory by 6 games to 4. We followed this by a rudimentary 10-0 win against Wiltshire, who unfortunately did not have any girl players and finished in bottom place. 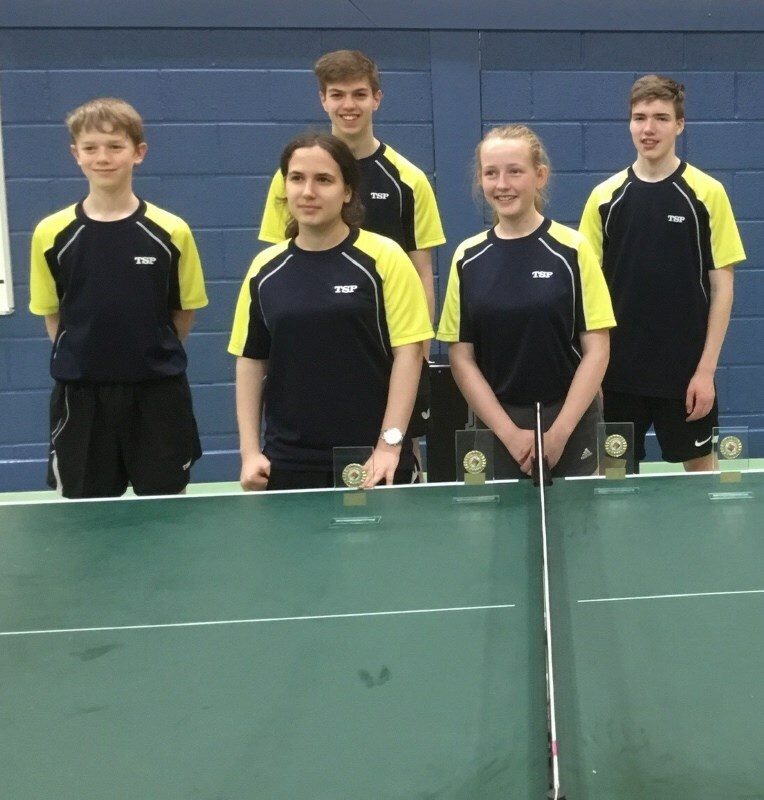 This meant that the County junior team have gained promotion to division one for next season. This is testament to the hard work they have put in since last year and they are already looking forward to rising to the challenge . The great news is that all of the players are eligible to compete and we will be looking to add to the squad in hope of another enjoyable season.